You didnâ€™t really think I was going to write about a bunch of car salesman secrets here for the whole world to see, did you? This is published on the Internet and the last thing I want to do is let the public in on some of our selling secrets and techniques. However I did want to write a little something about the way that successful salesmen and/or saleswomen rarely share the methods they use to sell more cars than the rest of the staff. When I started selling cars I was determined to discover the car salesman secrets that the top sales people were using to outsell the rest of us and be on the top of the sales board every month. I watched and listened to the top performers, but they were very quiet and tight lipped about their success. You see most top sales people at almost every dealership are very secretive because they think that they will lose sales and commissions if they share their secrets. I donâ€™t agree with this way of thinking and that is why I started this website for car salesmen and wrote my car sales book. When it comes to selling automobiles for a career, closing deals and delivering cars is how we get paid. No sales, no pay. We all know itâ€™s not for everyone, but itâ€™s a job that can provide you with a very nice income, a six figure income in fact. 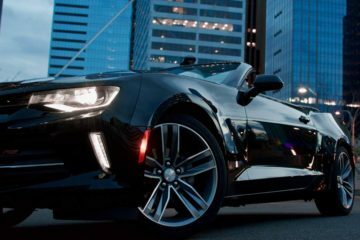 Learning the secrets car salesmen use to sell more cars can make the difference between enjoying the business and leaving the car business after a short time. 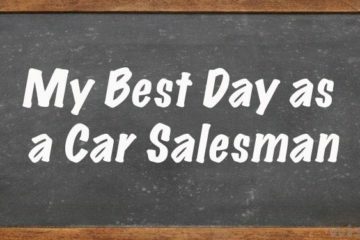 I have written several posts on being a car salesman, how to be a car salesman and selling more cars, but many of the best car salesman secrets are the ones that I have learned the hard way. Taking Ups and talking to people is one of the best ways to discover the techniques that help you close more deals. Trying different word tracks, phases and sayings and then analyzing the results will teach you what works on different types of customers. Some people can be reached with logic and others are better influenced with emotion, while others require a combination of both. Understanding what car buyers needs to hear, see or feel and at what times and in the proper amount is one of the car sales secrets to selling cars. Think about the differences between you and your spouse or significant other when it comes to making a major purchase. Certain things trigger you and different things trigger your partner to say yes when making a purchase. Everybody has different reasons for saying yes and all you have do it figure out what those things are to close the deal. Sure there are a few car salesman secrets or techniques and that is why I wrote â€œMake a Six Figure Income Selling Carsâ€. I am not worried about losing any commissions by helping out sales people sell more cars. I have been making a six figure income in the car business in less than six months after I started and did every year including today (and that includes the worst period in the cars business of 2008-2009). I love selling cars, but I love the money even more. Get the Book and sell more cars. ALL OF YOU GOOD LUCK AND I WILL FINALLY SELL MY 50TH CAR THIS MONTH! i AVERAGE 30-37 A MONTH AND THIS FELLOW HAS GOOD STUFF! DONT EVER GIVE UP AND YOU CAN DO IT!!! You can pay with PayPal.com. 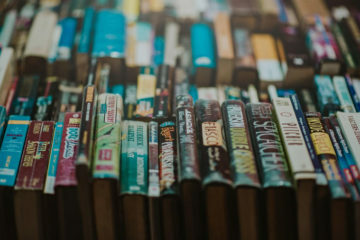 How to pay for the book if I don't have a creadit card?